Dental crowns are one of the most versatile items in a dentist’s toolbox. 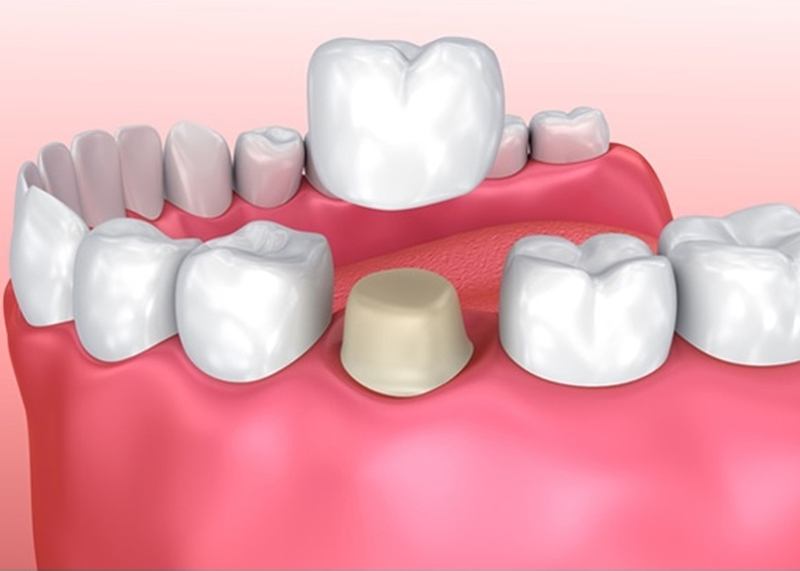 From repairing broken or decayed teeth to strengthening teeth with structural damage to completely replacing a missing tooth as part of a dental implant system, dental crowns perform a wide range of useful functions. In the past, dental crowns were often made of metal alloys that, while durable, stood out quite clearly in the wearer’s smile. As the technology advanced, porcelain was laid over the metal to camouflage the crown better, but this often left an unattractive dark gray line at the gumline. Today’s ceramic dentures are designed with both strength and aesthetics in mind. The crown looks so lifelike that it can blend in flawlessly with your other teeth, and nobody will ever know that you’ve had dental work done unless you choose to tell them. Placing crowns is not a difficult process, but it usually requires two appointments. At the first appointment, Bountiful dentist Dr. Merwe will shape your tooth so that the crown fits snugly and securely, and then we’ll take impressions to send to the lab that we trust with crafting restorations for our patients. You may be fitted with a temporary crown at this time to restore functionality and reduce sensitivity. Once your crown has returned from the lab, we’ll ask you to return to our office so that we can cement your crown in place. Once your crown has been placed, it becomes a permanent part of your smile. Crowns are designed to be long-lasting – just like your own natural teeth. With appropriate care, it’s quite possible for your crown to last for a lifetime! Dental crowns don’t require any extra care other than the regular brushing and flossing routine recommended by Dr. Merwe. Although the ceramic of the dental crown will not decay in the way that natural teeth can, without proper brushing and flossing, plaque and tartar can still build up, leading to decay where the material of the crown meets your original tooth and on your other teeth as well. Continue to visit our office for regular examinations and cleanings so that we can remove any traces of plaque and tartar from your teeth and keep an eye on the condition of your crown. We take your smile seriously, and routine examinations help to extend the life of your crown. If you have a damaged or missing tooth – or if it’s simply been awhile since your last check-up – call our Bountiful dental office today to schedule your appointment with Dr. Adrian Vande Merwe! If you reside in Bountiful, Centerville, or North Salt Lake City and need a crown, Dr. Adrian Vande Merwe will provide excellent results that will last many years, if not a lifetime.